Vanguard Cleaning of Minnesota | Dependable customized commercial window cleaning. Vanguard Cleaning Systems of Minnesota offers commercial window washing and other special services in addition to contract cleaning. 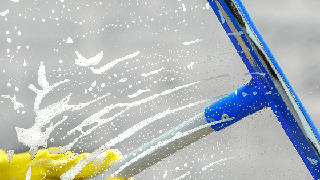 Your company might not need daily window washing, or even weekly. But washing all the windows in spring and fall will let the sun shine in and keep your building looking its best all year round. Add our power washing services for a perfect pair to freshen up your exterior after a long, harsh winter. Commercial window cleaning cost is based on the specifics of your project.